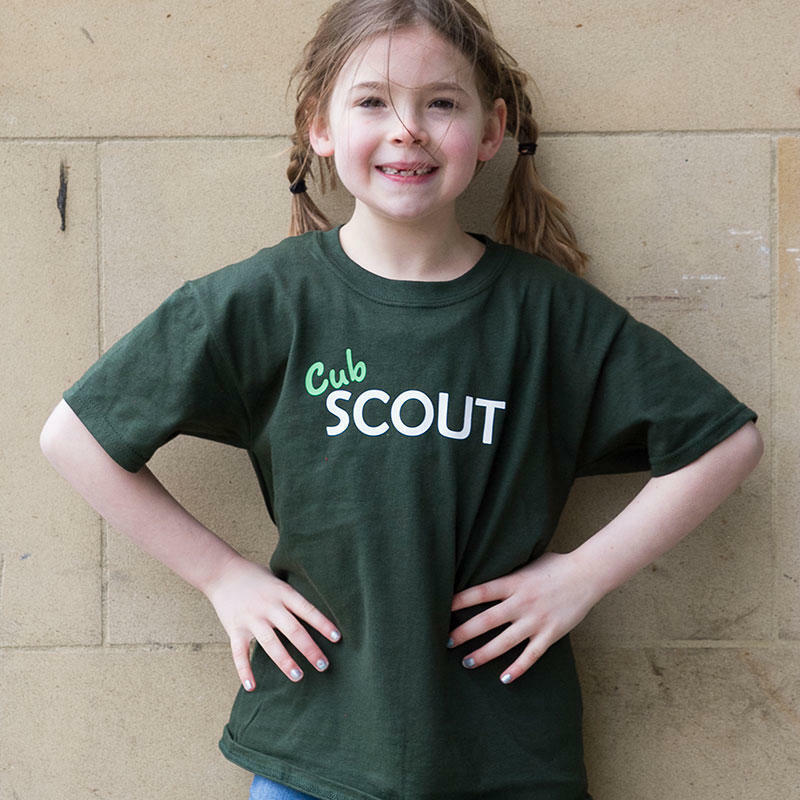 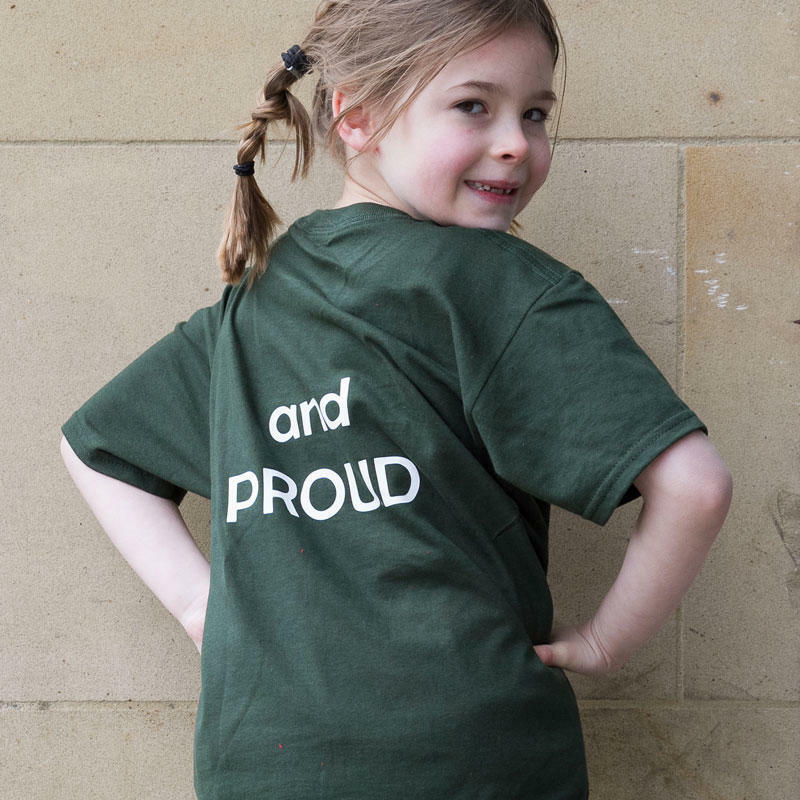 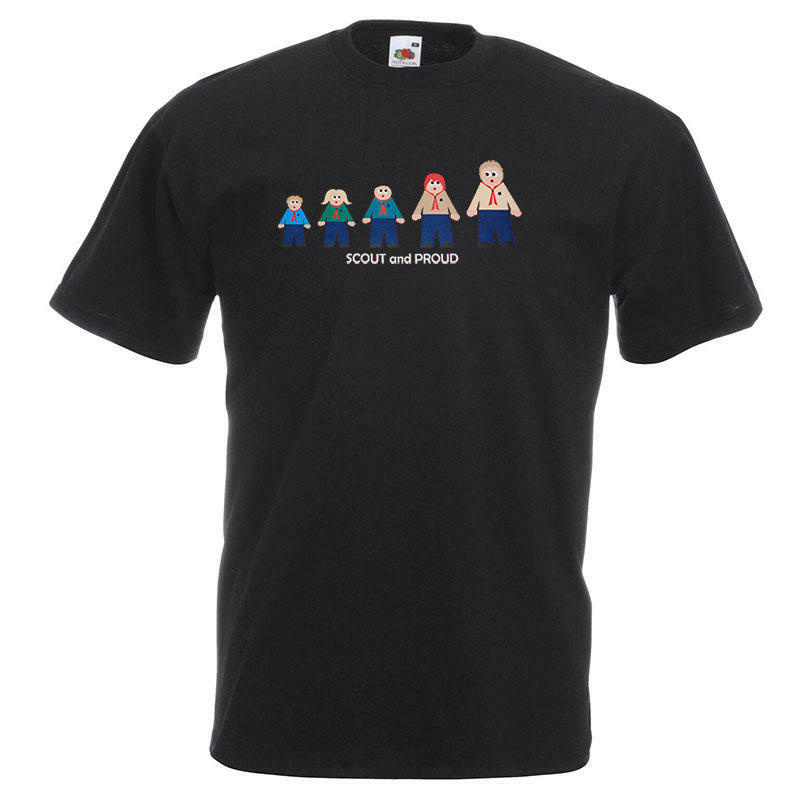 A bottle green youth t-shirt featuring the classic Scout and Proud print to the front and back, with an extra 'Cub' print across the front chest to create the Cub Scout and Proud T-Shirt. 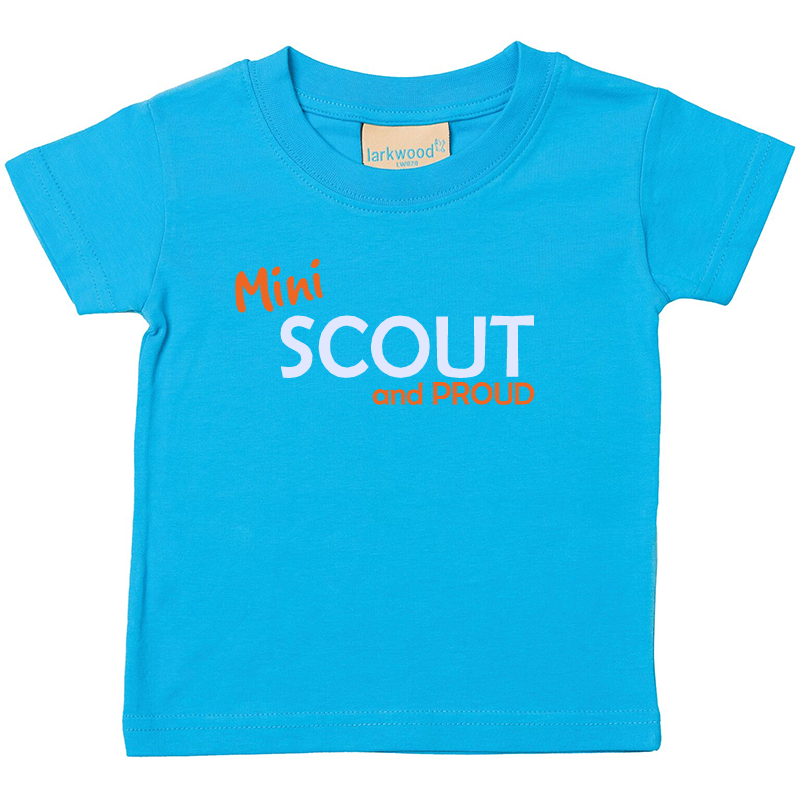 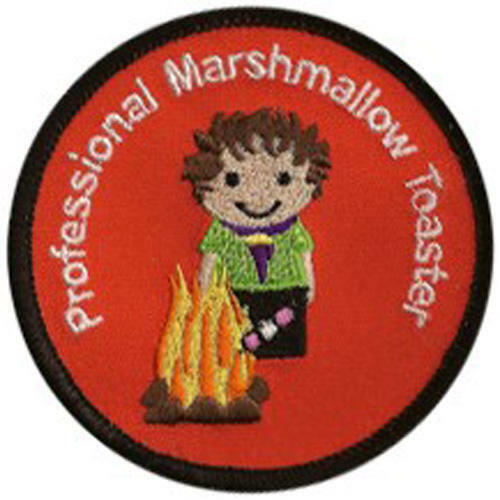 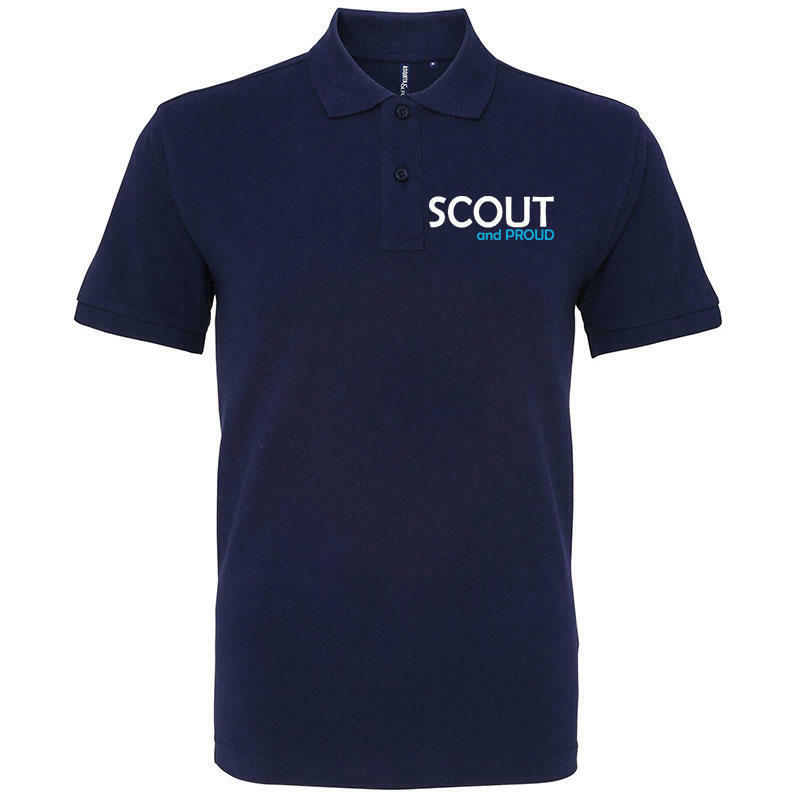 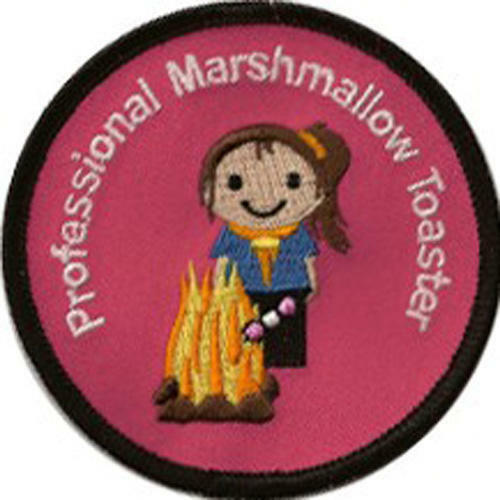 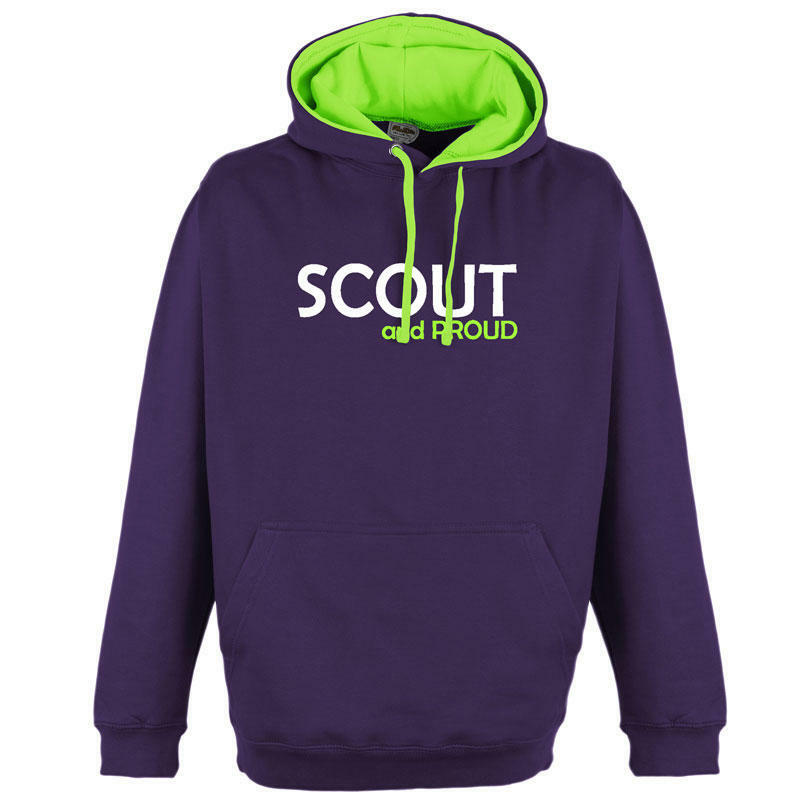 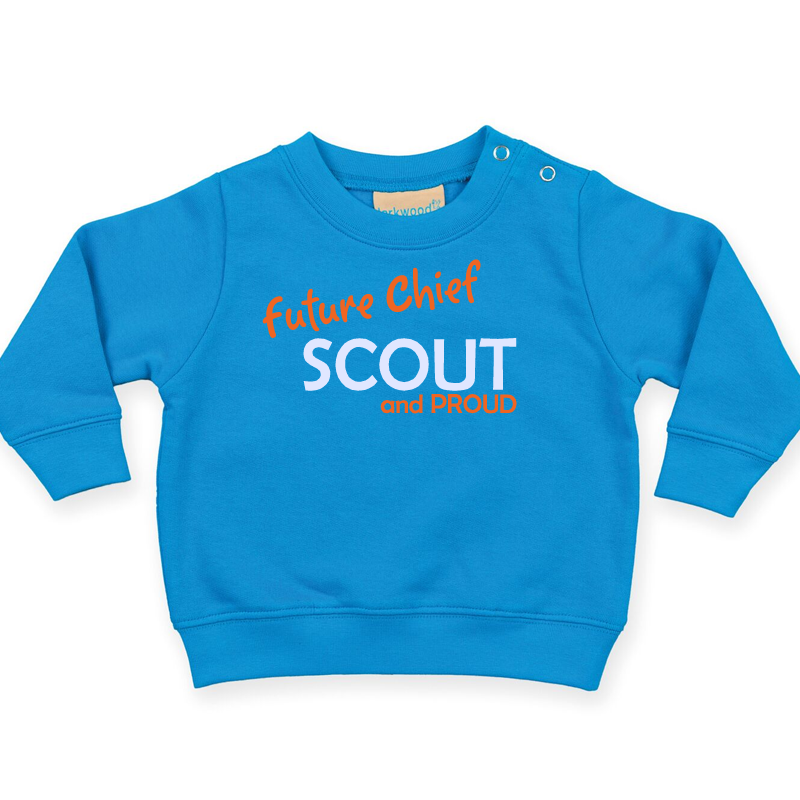 A great gift for any Cub Scout to wear casually on a camp or day event, where uniform is not required. 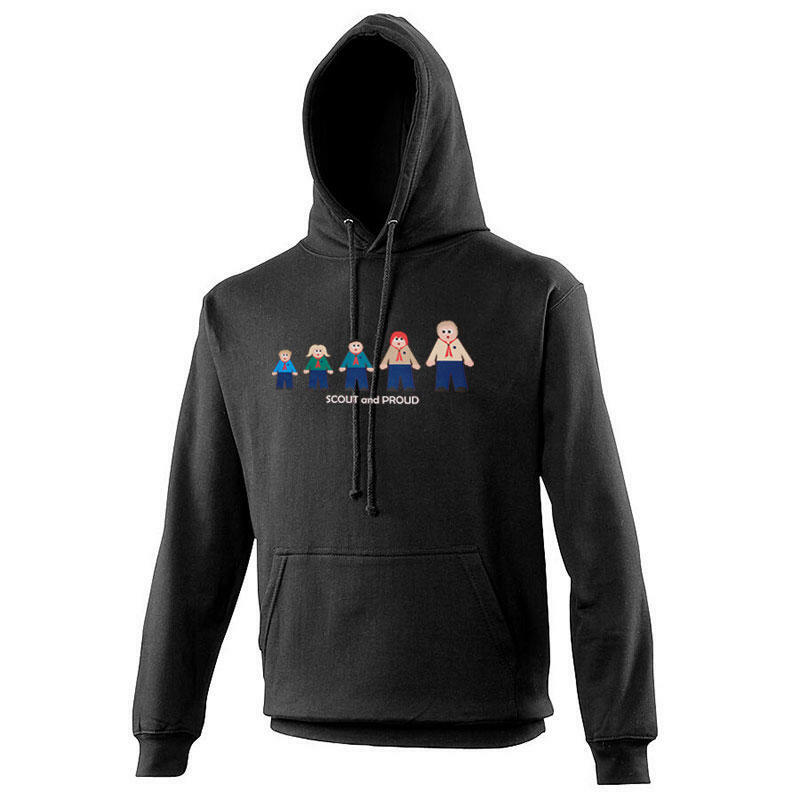 100% Cotton Belcoro yarn. 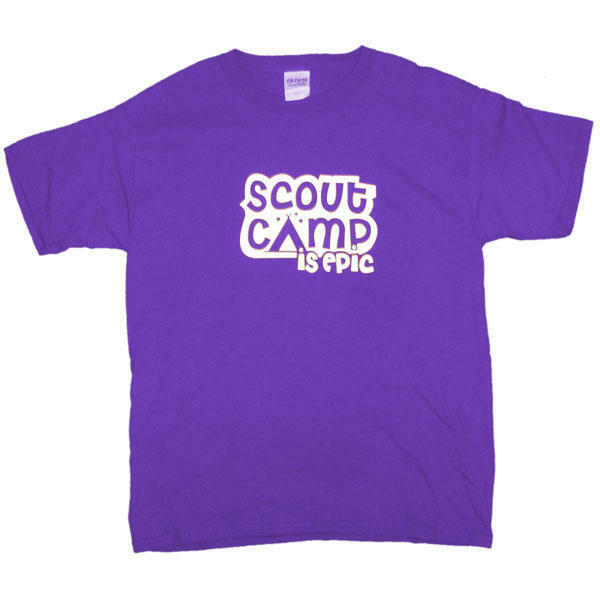 145gsm.